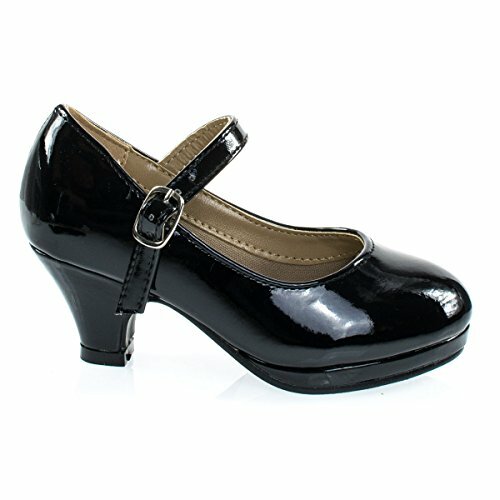 Shoes for your little girl with comfortable low heel on low platform with adjustable mary-jane strap, round toe, thick tapered heel and lightly padded sole. Choose from rock glitter upper, thin glitter, metallic or smooth patent upper. The design comes in plain strap, bow rhinestone strap or flower rhinestone strap. See picture accordingly. These shoes do not come ship in boxes.